The Institute for Advanced Studies in the Humanities (IASH), was founded in July 2015. It seeks to promote high level research in traditional humanities disciplines such as history, philosophy, and literature, while also engaging with more recent developments in the humanities, including cultural studies, communication, and science communication. The Institute consists of a number of full-time research-focused academics, postdoctoral fellows, faculty fellows, and visiting fellows. 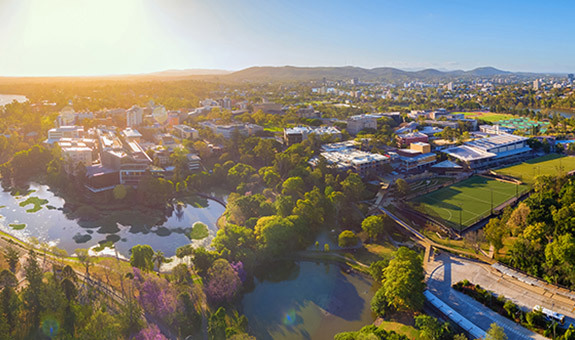 IASH is supported by strategic funding from the UQ Senior Executive and the Faculty of Humanities and Social Sciences. Most of its specific research projects are funded by external grants. Areas of research focus include intellectual history, critical and cultural studies, and history of emotions. The Institute is also home to a 5-year Australian Research Council Laureate project on Science and Secularization, led by the Institute Director, Professor Peter Harrison. 1. Contemporary attitudes towards science and religion. 2. Religiously-motivated opposition to scientific premises or modern technologies. 3. Atheism and perceptions of science and religion. 4. Understandings of science and religion interactions among educators. The second postdoctoral fellow (Science and Secularization) will be expected to conduct research on a topic that falls within the Australian Laureate Fellowship project on ‘Science and Secularization’, led by Professor Peter Harrison. Applicants are required to have completed a PhD and have experience in a relevant field of study necessary to address one of the proposed topics. Such areas of expertise include history, sociology, religious studies, and science communication. The candidate should also be able to independently construct and carry out the proposed research project. This is a full-time, fixed term appointment at Academic Level A. The remuneration package will be in the range $81,546 – $87,535 p.a., plus employer superannuation contributions of up to 17% (total package will be in the range $95,409 – $102,416 p.a.). To discuss this role please contact Professor Peter Harrison or Dr Tom Aechtner on iash.ea@uq.edu.au.